It's true: Andrew Lincoln, one of the lead stars on AMC's The Walking Dead since the show premiered nearly a decade ago, is leaving in the upcoming ninth season of the show. Lincoln confirmed the news at the 2018 San Diego Comic-Con and again in a recent interview on Entertainment Weekly Radio, where he finally admitted why he's really leaving the show after so many years. “Let me clarify something,” Lincoln told EW. “Yes, it’s my last season on the TV show, The Walking Dead.” This comment is, as EW notes, fairly cryptic; it specifically points to him leaving the TV series but leaves open the door for him to play Rick Grimes in other media, like films or video games. 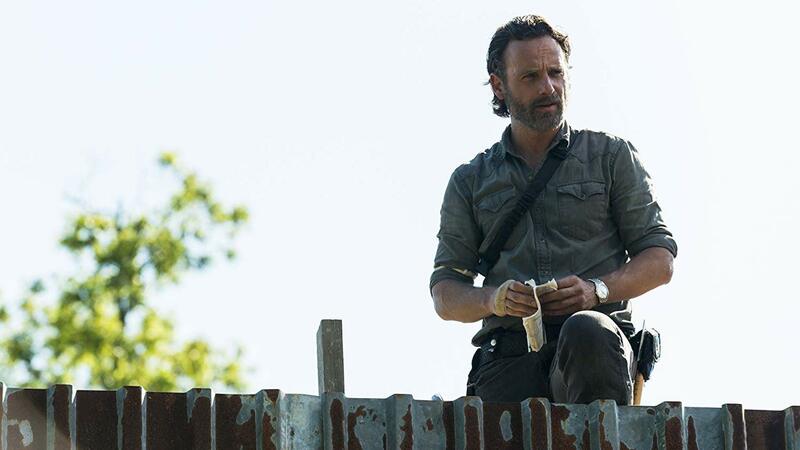 It's kind of a relief to consider that Lincoln may reprise his role as Rick at some point in the future, but we won't hold our breath, especially since his reason for leaving is so legit. Season nine of The Walking Dead features a time jump and a serious resource scarcity for survivors of the zombie apocalypse. Lincoln said the characters are in a "fragile" position, and honestly, it sounds like this new season is going to be an emotional roller coaster. We're definitely not ready to say goodbye to Rick, but we're also not sure if we're ready for everything else that's coming, either.